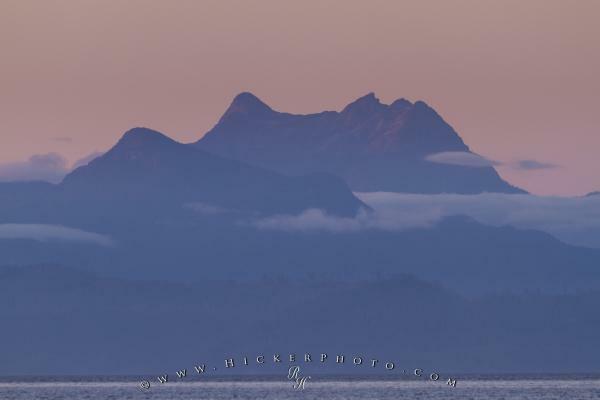 A mountain silhouette seen along the coast of BC is backdropped by pink hues at sunset. Seen along the coast off Vancouver Island. Photo of a mountain sunset along the BC Coast of Canada. Pictures from photo gallery "Mount Stephens"
This picture is part of the photo album "Mount Stephens" - there are more beautiful images waiting for you.